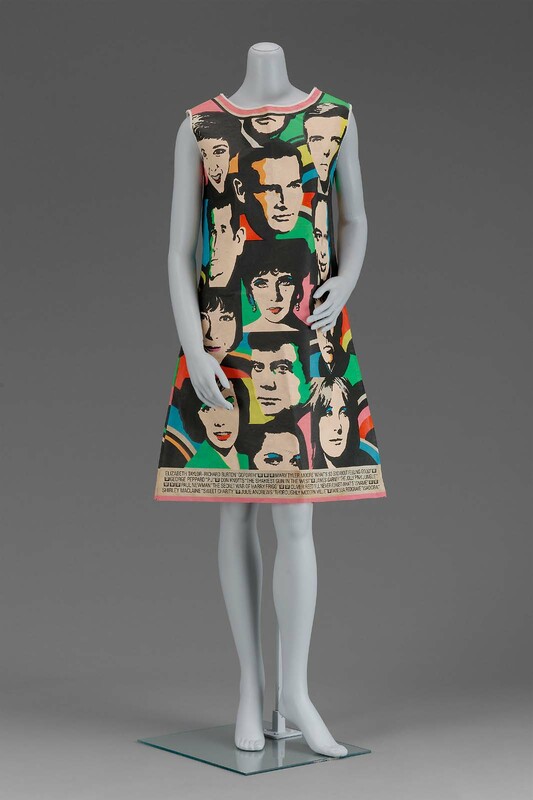 Front view: Woman’s “Hollywood” paper dress (American, 1968). Printed cellulose and cotton non-woven fabric. The Elizabeth Day McCormick Collection, by exchange (2003.136). Photograph © Museum of Fine Arts, Boston. Imagine a dress made from paper. It could be a simple A-line style, or as elaborate as a wedding dress. It can easily be altered with a pair of scissors. It has a low price tag. 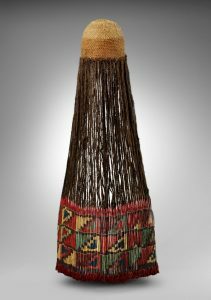 But perhaps its most appealing quality is its disposable nature as “throwaway” fashion. The paper dress has arrived! A promotional gimmick gone viral, the disposable dress was a fleeting fashion trend that managed to completely escape my awareness as a child growing up in the early 1960s, making my recent introduction to the handful of disposable paper dresses in our collection so captivating! The very idea of disposable fashion may seem odd today, but viewed in the context of its time—an era that favored ephemerality over durability, carefree conveniences, consumerism and a thirst for the next new trend—its phenomenal rise in popularity is not all that surprising. Back view: Woman’s “Hollywood” paper dress (American, 1968). Printed cellulose and cotton non-woven fabric. The Elizabeth Day McCormick Collection, by exchange (2003.136). Photograph © Museum of Fine Arts, Boston. 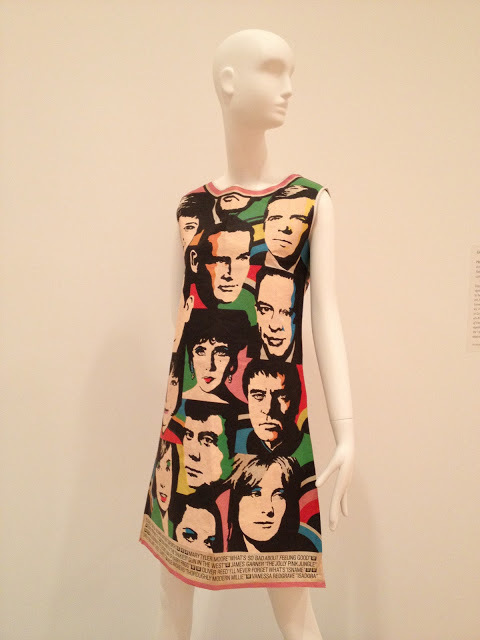 Related posts in which I feature the MFA’s Souper Dress (Campbell Soup Company) and the Yellow Pages Dress (Mars of Asheville, NC) introduce readers to the birth of the “Paper Caper” dress, a promotional sideline by Scott Paper Company used to advance its latest paper-based technologies. There were two basic A-line styles to choose from, redeemable by sending in a coupon with $1.00 and $.25 for postage and handling. 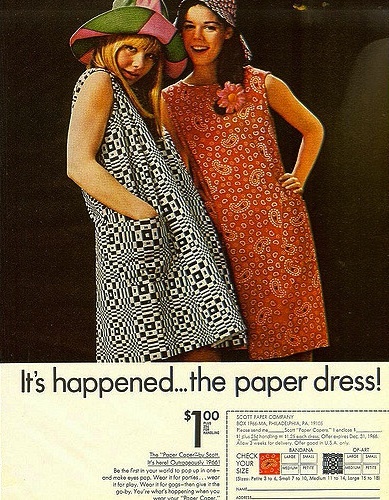 After unprecedented sales (500,000) in a matter of months, Scott Paper discontinued its production of the paper dress to focus on its main product lines: paper towels, napkins, toilet paper, and the like. Other companies and designers seized this moment to jump on the “Paper Caper” bandwagon, producing their own variations to compete in a demanding market for disposable fashion and contributing to its explosive popularity. Universal Studios embraced the ready-made canvas of this hot item to promote its most popular stars, including Elizabeth Taylor, Marlon Brando, Steve McQueen, Julie Andrews, Paul Newman, Henry Fonda, Kirk Douglas, and others, rendered in the Warhol-like portrait aesthetic emblematic of Pop Art and the blurring of boundaries between “high” art and “low” culture. 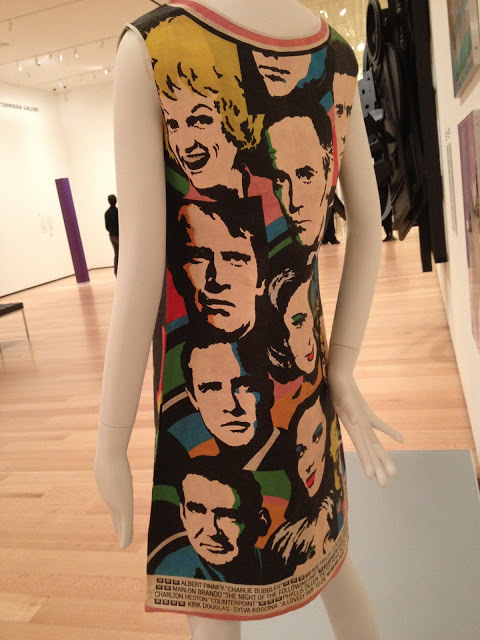 MFA’s “Hollywood” dress on exhibit in the contemporary wing in 2012 (front view). Click image for web source. “Hollywood” dress, back view. Click image for web source.